When it comes to foreclosure lawsuits, good news for the judiciary could spell havoc for property owners. At the height of the crisis, tens of thousands of new foreclosures flooded the courts each month. 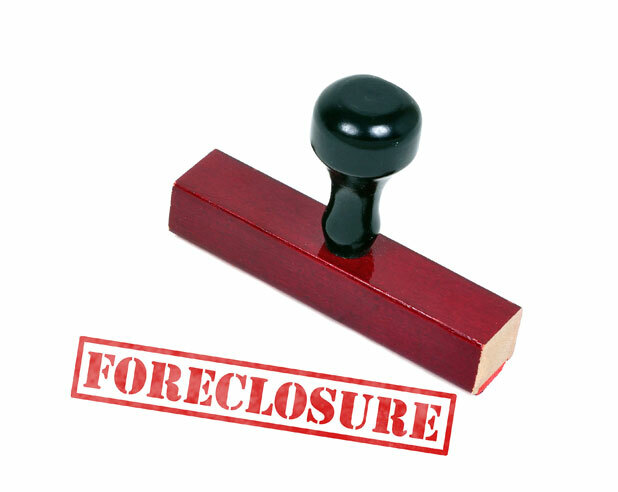 In 2009, lenders filed more than 64,000 foreclosure suits in Miami-Dade County alone, and by the end 2010 nearly 82,000 cases were pending in circuit court. In Broward County, judges juggled about 29,000 new lawsuits in 2010, and the backlog ballooned to more 43,000 pending cases by July 2012. "There's been a substantial improvement since the dark days of 2009," said Miami-Dade Circuit Judge Jennifer Bailey, the civil administrative judge who spearheaded the herculean task of clearing the bottleneck in her circuit. In the last five years, the court slashed pending foreclosures nearly 80 percent to around 15,000 cases at the end of 2014. From 2009 to 2013, it closed more than 190,000 cases, or an average of about 38,000 annually. Miami-Dade Circuit Court seemed to hit its stride in 2011 when the closure rate outpaced new filings, disposing of more than 42,000 cases as nearly 19,000 new suits hit the docket. "Getting a case heard is about access," Bailey said. "By and large, most cases have not had to wait for judicial access since 2010." The new system, buoyed by state funding for case managers to perform administrative tasks that once fell to judges, means Miami-Dade foreclosures get to summary judgment in as little as 25 days. In contrast, some old cases lapped the five-year statute of limitations. Some critics say that's not necessarily good news. Across the region, foreclosure defense attorneys raise challenges to new policies aimed at simply cutting the backlog. In Palm Beach County, foreclosure defense attorney Thomas Ice and former Florida Supreme Court Clerk Tom Hall challenged a proposed rule that would expand an April 2014 order rejected by the Florida Supreme Court local rules advisory committee. That new proposal would speed up foreclosures along with other civil, family, probate and guardianship cases by considering them abandoned if not set for a hearing and heard within 90 days. It hinges on the idea that a docket of more than 20,000 foreclosure cases creates a crisis requiring drastic measures to prevent depletion of judicial resources. But Ice and Hall argue the proposal would allow the circuit court to overreach by using an administrative order to automatically dispense with homeowners' motions as abandoned. Foreclosure defense attorney Emil Fleysher of Deerfield Beach agrees, saying the rush to clear the dockets puts property owners on the losing end as judges push through cases—even over objections from lenders looking to stop or delay the foreclosures they filed. "This is an example of where it's being pushed to the point where it's ridiculous," Fleysher said. "Apparently nothing matters other than clearing the docket and getting these cases out of the way." In the last year, Fleysher has represented homeowners in two cases where judges denied lenders' attempts to stop foreclosure actions. In one mortgage transfer case, Deutsche Bank unsuccessfully filed a motion to block a foreclosure sale after Boca Raton homeowner Mauro Guillermo showed proof of a mortgage modification. "I have never been so disgusted and frustrated. These people are not just case numbers clogging a docket. They are real people with real problems doing their best to turn things around," Fleysher said. "Foreclosure filings are down across the state, the backlog of foreclosures is a sliver of what it used to be, and it's time to start treating struggling borrowers like human beings again." Court documents show Guillermo got approval on Nov. 5 from Deutsche Bank for a trial loan modification agreement. He made payments from December to January, and got approval for a final modification Feb. 6. Deutsche Bank won a final judgment the previous September that paved the way for a foreclosure sale. Fleysher said he filed a motion to continue or postpone the trial because of the pending loan application, but that motion did not appear until nearly 5 p.m. on the day before trial. He said he got verbal indication from the bank that it would file a similar motion and that Palm Beach Circuit Judge Gregory Keyser granted the motion one day before the trial scheduled for Sept. 30. Thinking there would be no trial, Fleysher did not attend the hearing, where the bank won final judgment and set a sales date. The bank filed a motion to cancel the impending sale, but Fleysher said he never received notice and again failed to appear in court. Deutsche Bank's attorney, Kathleen McCarthy of Brock & Scott in Fort Lauderdale, did not respond to a request for comment by deadline. "The sale should have never gone through," Fleysher said. "The judge is so obsessed with pushing this rocket docket." The house was sold to Shay Mayron, according to public records. On March 17, Palm Beach Circuit Judge Richard Oftedal approved Mayron's motion for a certificate of title and granted an immediate writ of possession—an order Fleysher described as "devoid of any compassion" for Guillermo. But judges like Bailey say courts have a responsibility to move cases through the system and ensure they don't languish on the dockets. "These are overwhelmingly not complex cases," she said. "There's no reason that anybody would be particularly challenged in getting these cases to trial." For both sides, relief might come soon as foreclosure cases dwindle in a rebounding real estate market. Delinquency rates and foreclosure inventory for residential mortgage loans fell to the lowest levels since 2007, according to a national survey released in February by the Mortgage Bankers Association. The effect is already clear in South Florida courts. In Miami-Dade, lenders filed 10,000 foreclosure suits in 2014—about one-sixth the volume from just five years earlier. And in Broward County, there were fewer than 6,700 new filings last year, about one-third the new caseload in 2012. The backlog could also shrink this year once the Florida Supreme Court weighs in on the question of continuing default and the state's five-year statute of limitations for mortgage foreclosures. But attorneys like Fleysher say homeowners continue to get steamrolled as judges feel pressure to meet state mandates to clear their caseload. "When this first started there was a real need for it, but at this point it's gotten so carried away," he said. "The court is not helping. It's making the problem worse. When an agreement has been reached, there should be some common-sense carve out."